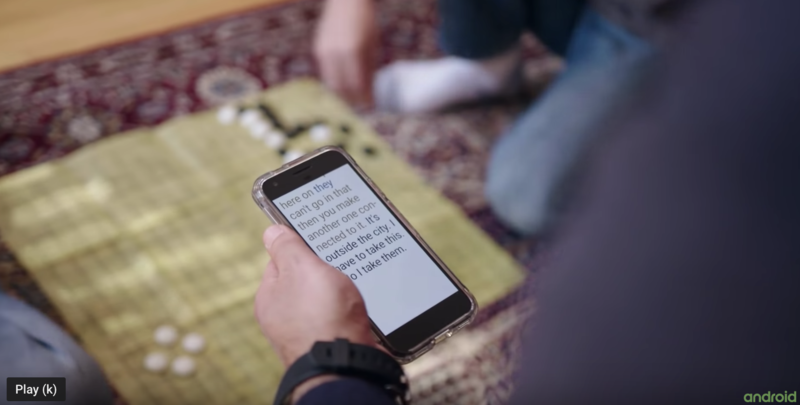 Google has been at the forefront of creating products and applications with accessibility in mind. In the past, these have been geared toward individuals with visual or physical impairments in an effort to make it easier to use the technology available on the market today. Now, they’re launching two new apps that will make it easier for the hearing-impaired to better connect with the world around them. The Android applications are called Live Transcribe and Sound Amplifier. Live Transcribe is a fairly simple concept, but will undoubtedly have a huge impact on the everyday interactions for those with impaired hearing. When you open the app, it begins transcribing what’s being said around you on a large black screen with white letters, making it easy to read. Live Transcribe is available in over 70 languages and dialects and even has a bilingual feature for households that speak two languages. This allows deaf people to be more independent and empowered in their everyday conversations with non-sign language speakers. Loudness Indicator - The app measures the volume of both the speaker's voice and the environment around them with two circles. If the outer circle gets really big, it shows the user that they’re in a loud environment and that the other person will need to speak louder for the app to work. Likewise, it measures the speaker’s volume and signals when they’ll need to talk louder. Haptic Feedback - This feature picks up on anyone trying to get your attention. If someone is speaking to you from behind, your phone will vibrate to alert you that someone has started talking to you. Keyboard - For places that it’s just too loud for the transcription to pick up on your conversation, the app also offers a keyboard shortcut that will allow you to type out what you’re trying to say. Google does want to stress that this app is specifically designed to address the needs of the hearing impaired, and thus cannot be supplemented as a transcription service. 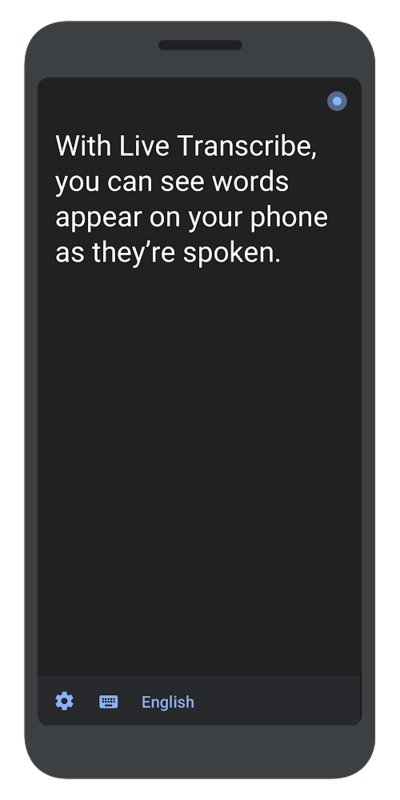 No conversations are stored anywhere on your device either. Google wants to focus on the app on its ability to help aid conversation and everyday communication, not record interviews and lectures. 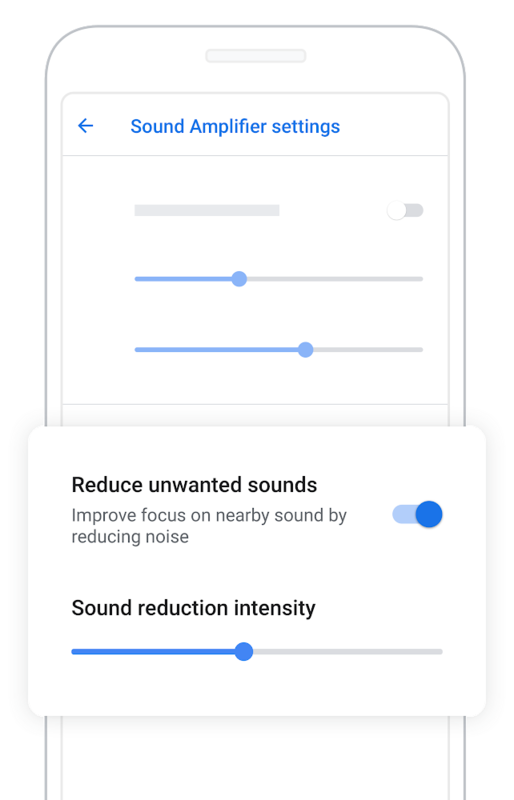 The second app, Sound Amplifier, helps partially deaf individuals, or really anyone in a loud environment. Ever been in a loud restaurant and you can’t hear what anyone’s saying? This is the app for you. Sound Amplifier makes any audio clearer and easier to hear. Essentially, the app functions like a high-tech hearing aid, and utilizes headphones that act as a filter to augment, amplify, and improve sounds in your environment. Users can use the app to enhance sounds or reduce background noise. The technology used to create the app has the ability to increase quiet sounds without over amplifying loud ones, creating much clearer communication for the user. The audio settings can be completely customized in the app, so you can find the right fit for you. Shockingly, I’m not going to talk about ad opportunities here. While this may not have a direct takeaway for your marketing strategy, it does teach us a lot about creating products and experiences that promote inclusivity and accessibility for all. We saw with Beyonce’s recent lawsuit for her website not being accessible to the blind - accessibility is important, and people are demanding it. For those of us that don’t suffer from any physical impairments, it can be too easy to overlook how our oversight is impacting others. In the past year, we’ve seen brands take strides to correct that. Ask yourself - is your website, product, or service really 100% accessible to all users? If not, you could have cost your business a loyal customer.